Human Population Explosion causes: Intensive bio-industry, thus needless misery of livestock. Consequences of enormous human population increase are: Geographical and environmental stress. 1 Stay cool . . . STHOPD the World! Human population explosion causes a holocaust among animal and plant species.. 3 Defend the amazing Amazon Delta. Rapid human population increase causes loss of valuable Biodiversity. 4 Tell everyone the truth before it's too late. The Australian Great Barrier Reef will degrade rapidly because of Global Warming of the sea. 5 I am proud to help Nature. Human Population Explosion: the worst environmental stressor. 6 Run like a Cheetah. In honor of Timothy Treadwell: please support Grizzly People. 7 We love Nature. In Alaska, Polar Bears are becoming extinct because of Global Warming. 8 Free Flora & Fauna. The consequence of human overpopulation is: Loss of spacial freedom around us. 9 Entoptic Ecstasy = Brain Art. Stop the cruel slaughter of seals, skinned alive for their fur, on the Atlantic coast in Canada. 10 Harsh Reality will awaken us. Human Self gratification rules the modern world and destroys nature. 11 Warning from the Future. Stop the trafficking of rare animal species over the Internet. 12 Jog like a Frog. During a Tsunami, more and more people will be killed because of the worldwide increase in human population growth along the coast. 13 Please comply with Endangered Species Act. Human Population Growth leads to: Malnutrition, hunger and starvation in Third World countries. 14 Truth Seeker, please save nature. The consequence of human overpopulation is: Waist increase of heavy metals. 15 e = mc^2 and Life = NegEntropy. Human Population Growth leads to: Widening gap between the haves and the have-nots. 16 Respect Nature, the Immanent God. 2010: International Year of Biodiversity. UN says plant and animal species disappear because of urban expansion and agricultural. 17 Let ecosystems grow into the future. Global warming is also the result of many villages becoming large, heat-losing cities of concrete and tarmac. 18 Stop dying out of many animal species. You are right, so stop human population explosion in order to save nature. 19 Monitor the mighty Mountains. Human Overpopulation causes: Loss of personal privacy around you. 20 Together make a fist against animal cruelty. Soaring food prices (mais, soya, wheat) because of larger human consumption and conversion to bio-fuel. 21 Save the suffering Seas. Human Population Explosion causes: Much airplane traffic, thus more Noise Pollution. 22 A CityPark is not the same as Nature. Do not let politicians fool you: human overpopulation is a serious threat to the world. 23 Flowering Nature's Future. Massive anonymity makes people aggressive. 25 Do-gooder: help Nature survive. Europe is murdering its Bears. 26 An Inconvenient Truth. Human Egoism rules the modern world and destroys nature. 27 Crying Nature, Dying Nature. Borneo and Sumatra are exterminating their last wild Orang Utangs. 28 Is Nature future-proof? Human Overpopulation causes: Property war over scarce land between Israel and Palestine. 29 Humm like a Hummingbird. Human Population Explosion causes: Global Warming and thus the Melting of the Ice Caps. 30 Stop BioPiracy. Human Overpopulation severely restricts our Freedom in many ways. 31 Promote Forest Stewardship Council FSC. Human Overpopulation degrades the quality of living. 32 Root Nature into the Future. Human Population Growth causes: Irritation and stress among citizens. 33 Laugh like a Cuckabaroo. Human hyper-population growth is the raging monster devastating our planet's landscape. 34 Whistle like a Whale. Human Overpopulation leads to: Increasing fuel consumption, thus exploding energy prices. 35 Grab your Beamer and Save the World. Stop the poaching and murdering of rare rhinos for their alleged medicinal horns. 36 Walk like a Wagtail. Human Narcissism rules the modern world and destroys nature. 37 Teach Africa how to use condoms properly. Zaire is murdering its Bonobos and Gorillas as bushmeat in the Congo. 38 Art Against Animal Cruelty. Human Overpopulation causes: Loss of pitch-black nights or real peaceful darkness around us. 39 Nature is part of YOU are part of nature. Human Overpopulation: the worst future nightmare. 40 Please prevent that e-waste poisons nature. Because of human population explosion you will hardly recognize the place you were born. 41 Make some noise against Human OverPopulation. Human Overpopulation causes: Abundant CO2 and Methane emission and thus Global Warming. 42 Freedom = having no children. Increase in hurried traffic causes more lamentable roadkill in rural areas. 43 Time keeps on slipping into an unsure Future. Human Population Growth causes: Drastical climatic changes over the whole world through Greenhouse effect. 44 Sing like a Nightingale. Human Population Explosion leads to anonymous masses of egocentric unscrupulous people. 45 Fight like a Tiger. Nature is part of you / you are part of nature. 46 Nourish Natural Resources. Consequences of enormous human population increase are: Intolerance and xenophobia. 47 Behold BioDiversity's Beauty. Human Population Explosion leads to: More Commercial Hunting and Killing of Whales and Dolphins. 48 Buzz like a Bumblebee. Human Overpopulation will lead us to the next World War. 49 The Secret of Life. Sea Life is slowly drowning in an ocean of plastic garbage. 50 Encourage Human Population Control. Human Overpopulation causes: Ecological destabilization on land and in the sea. 51 www.WisArt.net. Too many people -> too much industry -> excess CO2 emissions -> global warming. 52 Protect the pure Permafrost. Human Overpopulation causes: Larger hole in the ozone layer and thus Skin Cancer. 53 Random Reality Generator. Because all space is consumed by buildings and roads, villagers only have dear memories of their place of birth left over. 54 Nature is dying worldwide. Human Population Explosion causes: Intensive bio-industry, thus needless misery of livestock. 55 You can find the Truth in Life itself. Human Population Growth leads to: people discriminating and threatening each other. 56 Nature says: Thank you very much! Human Overpopulation causes: Soaring sea temperatures that destroy Coral reef ecosystems. 57 Cosmic Progressive Evolution of Reality. USA: over 300 million inhabitants. This population explosion will become ungovernable. America lacks self-control! 58 Worry about the Wetlands. Human Population Explosion causes: Ruthless work competition and increasing unemployment. 59 Revolutionize the World: STHOPD it. Please consider the environment before using up much paper when printing from your PC. 60 REHOPE the Future. Human Population Growth causes: Destruction of Jungle, especially in Brasil and Indonesia. 61 Oceans are the Kidneys of our Living Planet. Use condoms to avoid unwanted pregnancy. 62 Improve the World: save Nature. Human Overpopulation causes: Waste buildup on land and in the sea. 63 Evolution of Intelligent Existence. Human Population Explosion causes: Deforestation, thus diminishing animal habitats. 64 Imagine a Natural Paradise. Human Overpopulation causes: Desertification, thus dwindling Flora and Fauna. 65 Oh Butterfly, why do you cry? Human Overpopulation makes people either indifferent or aggressive to each other. 66 Escape Harsh Reality. The more people on earth, the less money and energy there is to share among each other. 67 Cry like a Wolf. Human Overpopulation causes: The melting of the Siberian permafrost, thus the release of Methane gas. 68 Environmental Activism for Nature. Human overpopulation causes loss of arable land that has led to political instability, wars and mass migrations. 69 Grow like a Giraffe. Boat refugees flee, not only for war or poverty, but also for human overpopulation. 70 Create an Ecologically Safe Future. Human Overpopulation causes: overcrowded city animalhomes with abandoned wretched pets. 71 Nature says: a friendly greet with hands and feet. Human Population Growth causes: Fuel resource depletion or burn up of rare firewood. 72 Soon will come the End of the World as we know it. Human Overpopulation destroys delicate Animal Habitats. 73 Swim like a Dolphin. Too many SCUBA divers destroy coral reefs by using suntan oil that is agressive for marine life. 74 Sting like a Stingray. Human Population Growth causes: Melting of the Ice Caps and thus Rising of Sealevels. 75 Reveal the Truth about dying Nature. Too much emigration of refugees leads to overcrowding in other countries. 76 Love the Future, Fix the Future. Some Spaniards ill-treat animals cowardly, especially dogs. 77 Give Power to Nature. Human Population Explosion causes: Clean Drinking-water to become scarce. 78 Copyright RGES. Pitiful curfew for cats and dogs in Germany because of possible outbreak of Avian Influenza. 79 Save the Permafrost. Commercial Human OverPopulation will grow us to Death. 80 Nature, Origin of Love. The ever-increasing amount of buildings and roads causes undesired climatical changes in overpopulated countries. 81 Leave Nature a Place on Earth. WWF says 60% of wildlife may be gone by 2020. This rapid sixth mass extinction is caused by Human Overpopulation! 82 Peacekeeper, please save nature. The consequence of human overpopulation is: Severe Pollution of rivers and seas. 83 Stop Global Warming. Stop the illegal poaching and murdering of rare Elephants for their ivory tusks. 84 Now is the Final phase of Existence as we know it. The government of overcrowded Hong Kong prohibits the keeping of cats or dogs in apartments. Is this our future too? 85 Send an eCard at www.STHOPD.net. Stop the poaching and massacre of rare animal species in Africa, India and Indonesia. 86 Keepers of the Earth, please save nature. Billions of toilet paper rolls causes millions of jungle trees to be chopped down. 87 Losing my religion ... finding the truth. Great Britain is murdering its badgers because of possible tuberculosis infection onto sickly overcultivated cows. 88 The Truth is out there . . .
China murdered 50,000 dogs because a few people died of Rabies. 89 Please be sparing with energy. Human overpopulation has led to mass famine in the Sahel and elsewhere in Africa. 90 Howl like a happy Hyena. Certain provinces of Spain maltreat their dogs in an awful way. 91 Do not juggle with the Jungle. Malaysia killed her last wild Rhinoceros in 2005. 92 Fly like an Eagle. Human Overpopulation causes: Loss of tranquil silence around us. 93 Dance like a Butterfly. Human Overpopulation causes: Bird murdering because of threat of Avian Influenza H5N1. 94 Evolution: the true vision on life. The heavenly Tigris-Euphrates Valley (biblical Garden of Eden) was slowly destroyed through human overpopulation. 95 Forever Free Forests. Human Overpopulation causes: Worldwide destruction of delicate Eco-habitats. 96 Where can cats or dogs play freely outside? Illegal logging by mafia-like gangs is rapidly destroying the tropical forests of Borneo and Sumatra. 97 Promote Kyoto Protocol. 'Cherishing the future' means 'Regulating the future'. 98 We love protecting Nature. Human Population Growth causes: Larger chance of Pandemic outbreak of dangerous Virus illnesses. 99 Humans form the Brain of the Immanent God. Fast-growing Jakarta (Indonesia) is so overcrowded with people and buildings that they drown in rainy floodwaters. 100 Mend the melting Ice Caps. Human Population Explosion causes: Religious extremism and terroristic warfare. 101 Join our Team: Spread the Message. Human Population Growth causes: Increase in traffic-related airpollution. 102 Rain Forests are the Lungs of Mother Earth. Human Overpopulation leads to: Booming land prices and towering house prices. 103 Save the sunny Savanna. Where are the days that you could have a nice evening with 100 friends in stead of 1000 strangers. 104 Nature needs your Love. Japan annually murders 23,000 dolphins for meat consumption by humans. 105 Chat like a Bat. Go to www.vier-pfoten.de : More humanity for animals. 1 Go to www.WisArt.net : This SlideShow (in 5 languages: DE, NL, DE, FR, ES). Random Reality Generator. 3 Nature, Origin of Love. Besides Frozen Ark: Freeze Human Fertility! 5 Peacekeeper, please save nature. Evolution of Intelligent Existence. 7 Please Rescue Flora & Fauna from Mass Destruction. Go to vhemt.org : The Voluntary Human Extinction Movement. 9 Oh Butterfly, why do you cry? 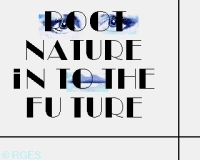 Root Nature into the Future. 11 REHOPE: Regulate Ethically Human OverPopulation Ecology. Go to www.seashepherd.org.uk :Sea Shepherd UK ~ marine wildlife conservation direct-action organization. 13 Create an Ecologically Safe Future, please. Go to www.wwf.org.uk : World Wide Fund For Nature. 15 Life = NegEntropy. Behold BioDiversity's Beauty. 17 Go to www.komitee.de : Committee against the murder of birds. CPER: Cosmic Progressive Evolution of Reality. 19 Go to www.peta.org : People for the Ethical Treatment of Animals. Go to www.STHOPD.com : Secret Entrance of STHOPD. 21 Keepers of the Earth, please save nature. Love the Future, Fix the Future. 23 LOVENIC: Love Obtains Visionary Evolution, so Nature I Cherish. STHOPD: Stop Terrible Human OverPopulation Disasters. 25 Truth Seeker, please save nature. Escape Harsh Reality. 27 Go to www.STHOPD.net : Send your Political E-card. The Club of Rome reports: the Limits to Growth. 29 Go to www.CPER.org : Courses within an online learning environment. Nourish Natural Resources. 31 Go to R.E.H.O.P.E. : ReHope the Future. Go to www.animalsasia.org : End Bear Bile Farming, Captive Animal Welfare, Cat and Dog Welfare. 33 Go to www.RGES.net : Artist / Webdeveloper.